We love to use learning games in our homeschool because it really helps the kids to enjoy homeschooling. They love that they’re “getting out of” a lesson and having fun, and I love knowing that they’re practicing vital skills without whining about another worksheet! 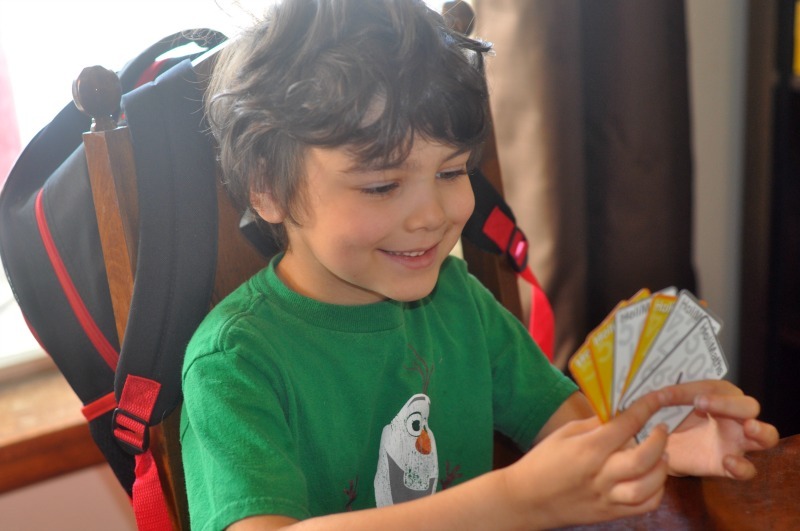 We absolutely love to incorporate different learning games into our homeschool. The obvious reason is that kids cooperate a lot more when they are having fun with what they’re doing. I mean, what sounds more fun? 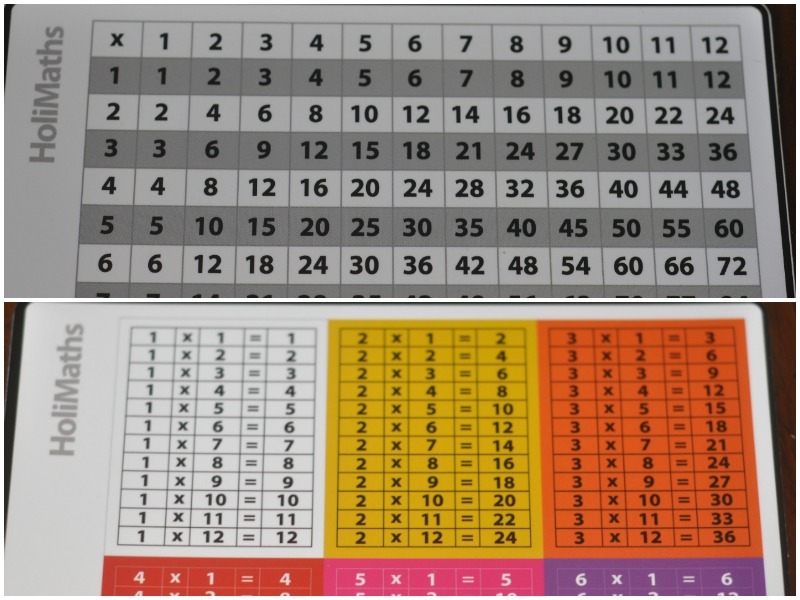 A worksheet with dozens of multiplication problems or a card game?! 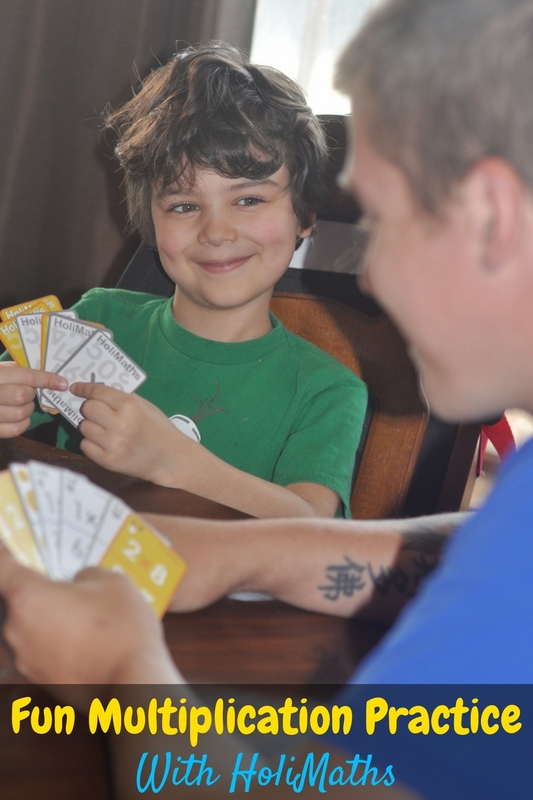 But there are a lot more reasons to add learning games to your homeschool day than that! When kids learn something through playing, it sticks more. It suddenly has more meaning. Think about it. Does your third grader understand why they need to memorize their multiplication tables? Probably not. But memorizing it to win a game? That’s a direct incentive! 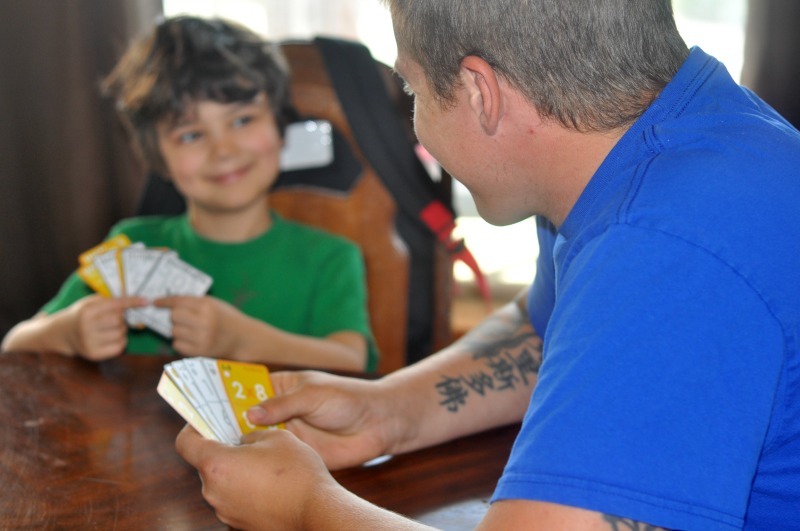 Playing learning games also gets the entire family involved in homeschooling. Learning games are one of my favorite ways to get Chris involved in homeschooling the kiddos. It gives the boys great one on one time with Dad, and it takes one thing off my plate. Because in my book, playing a fun multiplication practice game totally counts as a full math lesson! 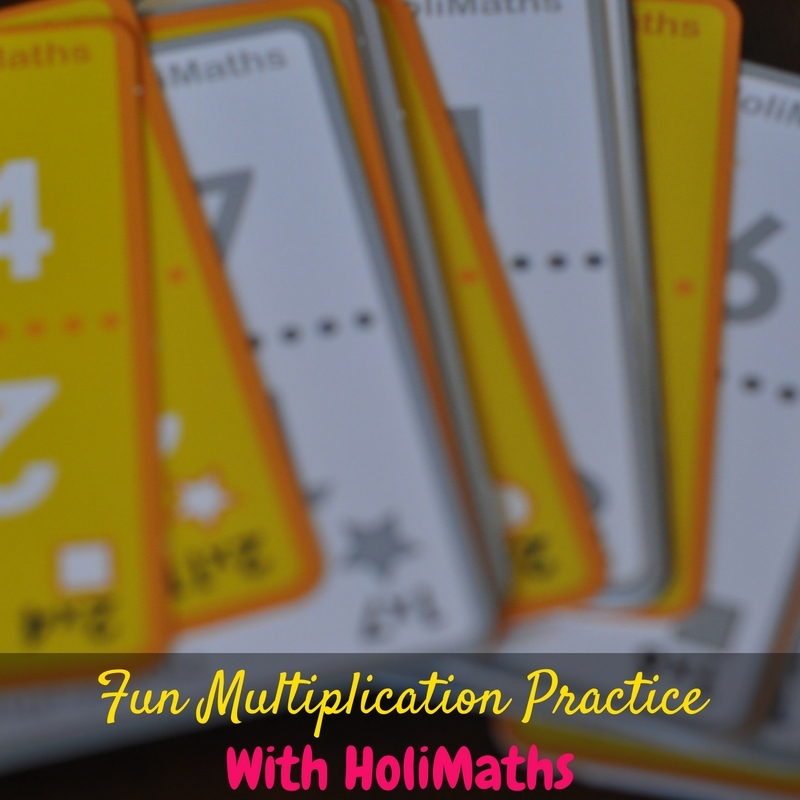 With my love of learning games, I was so excited to get to try a brand new fun multiplication practice game called HoliMaths! This game helps kids (and parents!) practice their multiplication memorization in a fun and relaxed way. As a family that loves card games we were eager to try it! Mr. C had so much fun playing it that he didn’t want to stop. In the game, each player is given “problem” cards and they draw “solution cards”. The object of the game is to match as many problems with solutions as you can and run out of cards first! Mr. C’s favorite part of the game was obviously how fun it is. As a mom, though, there was a lot about this game that I really liked! We both loved the bright colors, and we appreciated that the multiplication tables were color-coded so we could focus on the tables we were specifically working on. I also was excited to see some “help cards” included to help younger family members join in on the fun! You can get the HoliMaths multiplication practice game from their website! You can get either multiplication tables 1-6, 7-12, or both. We got both, and it’s been fun to mix and match depending on who’s playing and what problems we want to review! 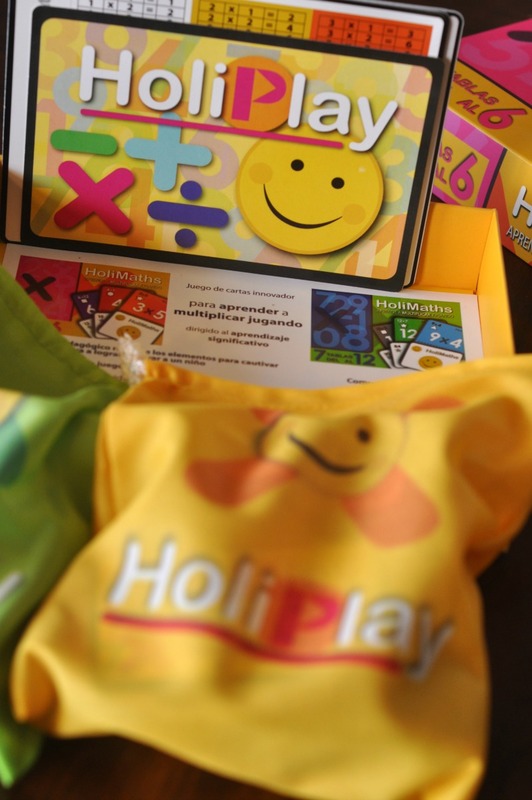 You can also connect with HoliPlay, the makers of HoliMaths on Instagram, Twitter, Facebook, Pinterest, Google+, Tumblr, and YouTube! Also, be sure to enter the giveaway below for your chance to win HoliMaths for your homeschool! If you buy the product (in kickstarter) and win the giveaway, HoliPlay will refund your money!